In November 2010, President Obama issued Executive Order 13558 creating the Export Enforcement Coordination Center (E2C2) as part of the Export Control Reform Initiative. 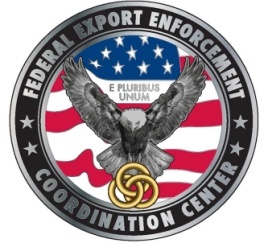 Established to coordinate and enhance criminal, administrative, and related export enforcement activities, the E2C2 is a multi-agency center with representation from eight U.S. governmental departments and 15 federal agencies. The E2C2 serves as a conduit between federal law enforcement agencies and the intelligence community, and it is the primary point of contact between enforcement authorities and agencies engaged in export licensing, public outreach, and government-wide statistical tracking. 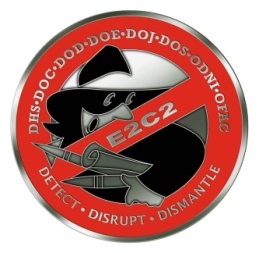 Through these efforts, the E2C2 promotes a more robust whole-of-government approach to enforcement that ensures inter-agency coordination, promotes multi-agency collaboration, minimizes the duplication of efforts and strengthens the link between law enforcement, the intelligence community, and export licensing entities. To report suspicious activity, complete our tip form or call (866) 347-2423 (U.S., Mexico and Canada) or (802) 872-6199 (other countries across the globe).